Making bold references to 'When Johnny Comes Marching Home", hot new band DARA aims to make a difference. Their epic single "Ants On The Hill" titillates the senses with a refreshing message that is poised to drum up the youth rebellion. 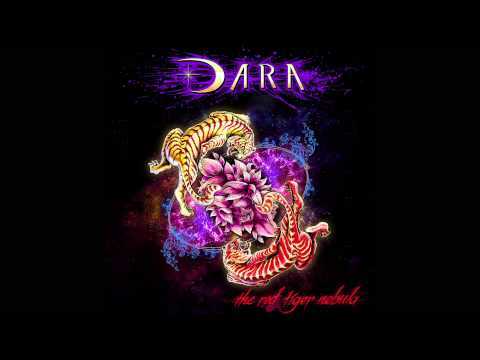 SALT LAKE CITY, UT, January 27, 2015 /24-7PressRelease/ -- The first single from the explosive new band DARA dropped yesterday. DARA's new single "Ants On The Hill" is sure to be the dawning of a new age of music. Somewhat nostalgic, this first taste of the new album "The Red Tiger Nebula" is a sign of great things to come showcasing the talent and diversity of the album as a whole. Calling the new progressive style: "world rock", DARA's music has meaningful lyrics. "Ants On The Hill" is no exception, and serves as an incredible precedent for the story that's to follow. For several weeks vocalist and main songwriter Benjamin Dara learned from the foremost authorities on ants to get the background he needed to write the song. The message that "Ants On The Hill" conveys however shines through more than the lyrical content. Painting an epic picture of this universe we call home, the song uses a variation of a phrase from 'When Johnny Comes Marching Home' using the electric guitar and violin to tell the story. It raises questions about the direction our society is headed and keeps the listeners mind stimulated the whole way through. Shining through the music is a message of unity. One thing is clear from this first single: the need for passion in this world never dies. "Ants On The Hill" stands up and commands the listener to examine their place in the universe, inviting them to join the movement. Born from the stars. Centered in the earth, DARA plays their distinctive style of world rock spreading a message of peace and love. Appealing to fans from around the globe, they are often wooed by Benjamin Dara's storytelling spirit that guides you on an inner journey. DARA's New Single "Ants On The Hill"